Dates for choir sessions over the rest of the summer. 1. 22/7/14 meet 7 pm, as usual at Faith Centre. 2. Last session on 29/7/14 meet at 7pm, at St John’s Church, Ivy St as the Faith Centre is closed. St John’s is next door to Lidl on Colne Road. Go in at the main door of the church on Ivy St. There is plenty of room in the church car park which is accessed from Ivy St. Afterwards, Karen and I would like to invite you into the parish hall for a cool drink and there may even be a biscuit or a piece of ginger cake, if you sing up! 3. Session on 12/8/14 meet at Faith Centre, at 7pm as usual. 4. 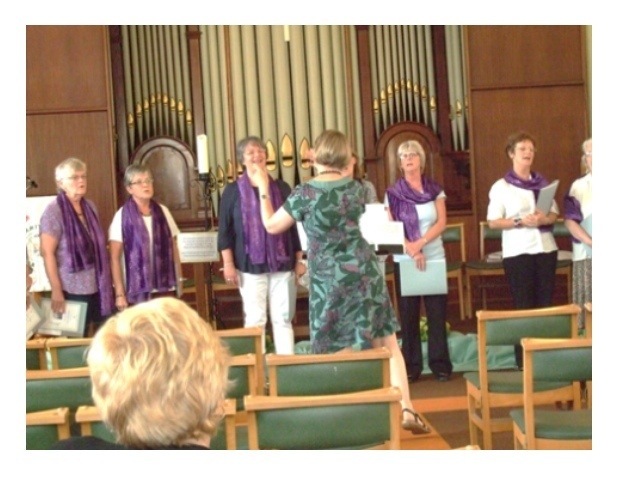 Invitation, through Janet, for a singing session on 19/8/14, in Accrington. There will be more details to follow, next week, but this session is a practice in preparation for WW1 peace and justice celebrations, around Christmas time. As we aren’t meeting again until 9th September this practice would be a way to meet up, as well as sing together. 5. 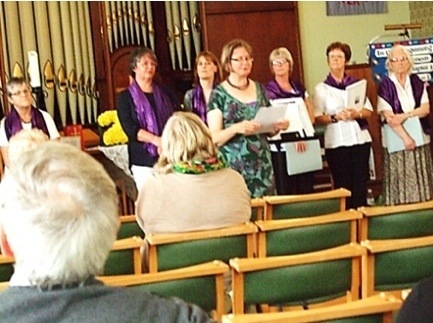 Return to choir on 9/9/14 at the Faith Centre as usual. This is the same evening as Share Faith Share Food and so if you usually attend those sessions please feel free to do so. Other choir members who would prefer to attend SFSF please do so. More details of that first SFSF session to follow. For the rest of the choir, who would prefer to attend the choir session which will take place as normal but at 8.30 we will share food with the members of SFSF. Singing at Bethesda. 5th July.